Now available from I.B. 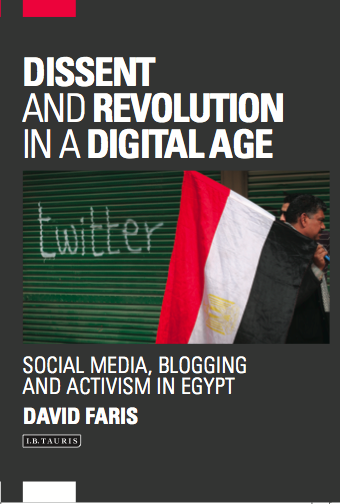 Tauris & Co.: Dissent and Revolution in a Digital Age: Social Media, Blogging and Activism in Egypt. Click the link to buy from Amazon or you can get it directly from the publisher. During the Arab uprisings of late 2010 and early 2011, which saw the overthrow of Zine el-Abadine Ben Ali in Tunisia and Hosni Mubarak in Egypt, the role of digital media and social networking websites was widely reported. With tens of thousands publicly committed to public protest through online social networks, and with calls to protest circulating via email, Facebook, the activists set in motion a staged confrontation with the Egyptian regime, of the sort that had previously been unthinkable. The potentially subversive nature of social media networks was also recognized by the very authorities fighting against popular pressure for change, and the Egyptian government’s attempt to block internet and mobile phone access in January 2011 demonstrated this. What is yet to be examined is the local context that allowed digital media to play this role: in Egypt, for example, a history of online activism laid important ground work. 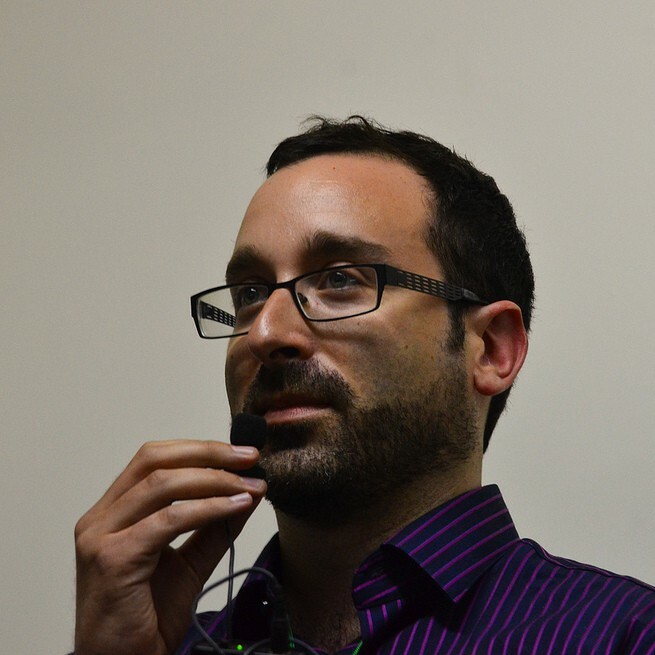 Here, David Faris argues that it was circumstances particular to Egypt, more than the ‘spark’ from Tunisia, that allowed the revolution to take place: namely blogging and digital activism stretching back into the 1990s, combined with sustained and numerous protest movements and a relatively independent press. During the Mubarak era, where voicing a political opinion was – to say the least – risky, and registering as a political party was an onerous and precarious undertaking, it was online avenues of discussion and debate that flourished. Over the course of those years, digital activists – bloggers and later, users of other forms of social media like Twitter, Facebook and Youtube – scored a number of important victories over the regime for the most part revolving around the preservation of human rights. Faris analyses these activists and their online activities and campaigns, examining how the internet was used as a space in which to create identities and spur action. Dissent and Revolution in a Digital Age tracks the rocky path taken by Egyptian bloggers operating in Mubarak’s authoritarian regime to illustrate how the state monopoly on information was eroded, making space for dissent and for those previously without a voice.